When chef Emma West began working at Satellite, a natural wine bar in Santa Barbara, she couldn’t help but notice all the people walking by in yoga pants. A popular yoga studio sits right next door to the restaurant. That got her thinking. “We need to have a salad that has good protein, carbs, leaves and all of the things,” she said. Introducing the Yoga Pants salad, her solution for yogis who need to fuel up before or after a workout, or anyone else looking for a healthy, protein-packed meal. 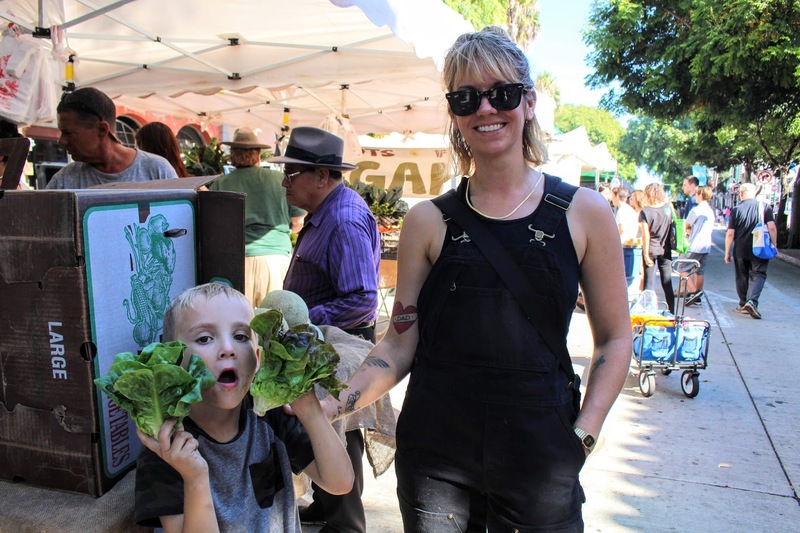 This fall marks a full year of our seasonal salad, because it was this time last year our team got super inspired by all of the goods at the Santa Barbara Farmers Market. Persimmon, Pomegranate, and Delicata Squash, along with the many colors of beets and Ojai Valley Micro Sprouts are some of our favorites. Our statement dressing keeps it familiar but the add-ins are constantly changing with the charms of the season. In Vitamix, add first half of ingredients (garlic to mustard) and puree. (weight out with scale measurements in grams. Use an wine flask to measure items in milliliters). In large bowl, combine second half of ingredients and whisk together all ingredients well. Combine Vitamix puree to the bowl and whisk together till properly mixed. Taste for salt/pepper ratio. Want more farmers market inspiration? Click here.